Former sprinter Giuseppe Chiodi almost always greets you with a smile. 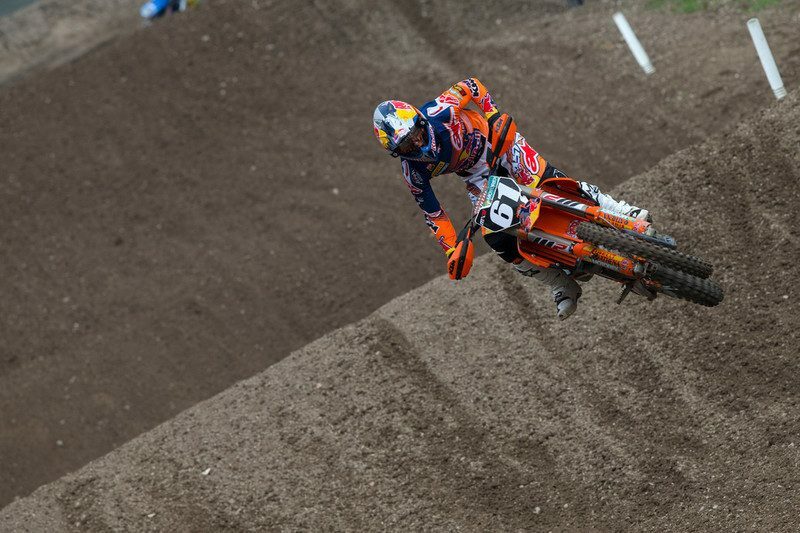 Perhaps it is because most of his MXGP patients in the KTM family come to him with a grimace. 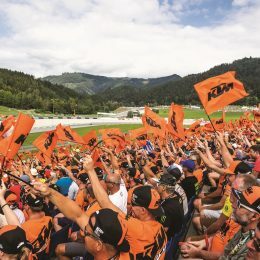 The 50 year old has been the physical problem solver and ‘go-to’ guy for ‘orange’ athletes and those principally in the factory team for three years and has been part of the paddock for half a decade. As an ex-athlete himself Giuseppe carries a build and a physique like he could easily tackle one of the 30 minute and 2 lap motos against the world’s best, but we are both sipping a cappuccino on this occasion as we wanted a talk and to ask the Italian about the bulk of his work across the busy period of 48 hours that is a Grand Prix, with nineteen rounds in total of MXGP, thirty-seven motos and all running from February to September. 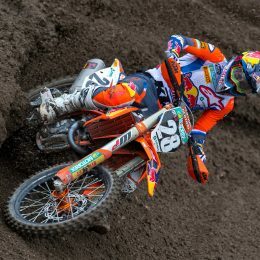 Motocross is tough, demanding and withering: perhaps the hardest motorsport on two-wheels simply because of the intensity. 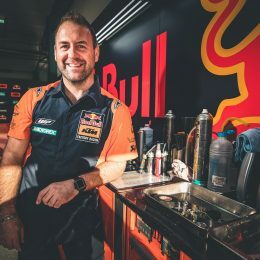 MXGP has an impressive medical center and radiography setup at each European round to treat the most serious injuries – the breaks, fractures, dislocations and wounds – but what takes up the majority of Giuseppe’s expertise and time in and around the KTM awning? 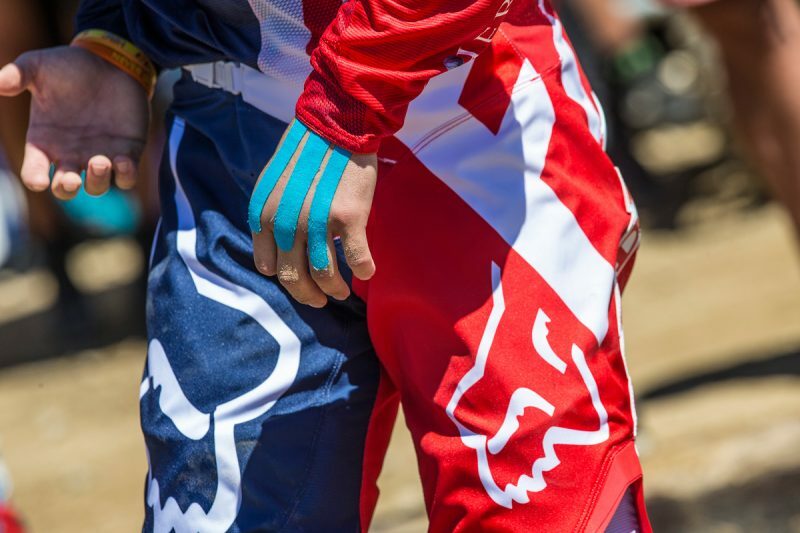 The life of a factory athlete can encompass many considerations but it is also re-assuring for the riders that there are important ‘mechanics’ for the body as well as the machinery. What i miss about here is the specific taping by muscle ruptures. In the soccer-sport there are technics that would help JH84 to ride with a muscle rupture in his upper-leg at 2014. Also the taping of his hand in 2017 had helped him a lot. Kinesiotaping what i saw by JH84 in those injuries are most insufficient! The knowledge of what professional soccer-taping-fysiotherapy is, i would like to demonstrate to you. Than JH84 could ride with a injured ankle; elbow; knee; leg; arm; shoulder; wrist; hand; foot. You name it. Massages between the races are also very important. They must be on reducing the acid in the muscles en setup the muscles for the second race. That means relax and than activate massages to set the muscles into action. After the races the MX rider need dehydrating en relaxation massages. All these are necessary in competition.